First up, a comment on the size and price. These were $1.99 for each of the polishes and the brush. 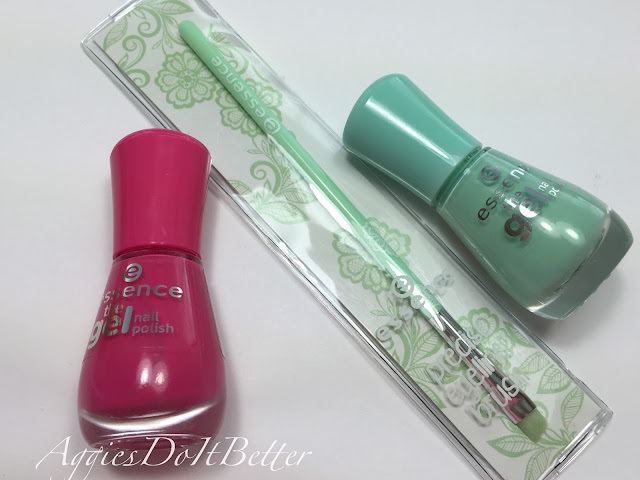 Essence is known to be a budget brand but I've heard good things about many Essence products so I figured it was a safe bet. The bottles are 0.27ml, which is larger than a mini but less than a "full size" polish which would be around 0.5ml. Here is how the new angled brush compares to some of the other ones in my rotation. Currently I'm mostly using the Sonia Kashuk brush from Target ($10). It has held up the best so far against the constant use of acetone. 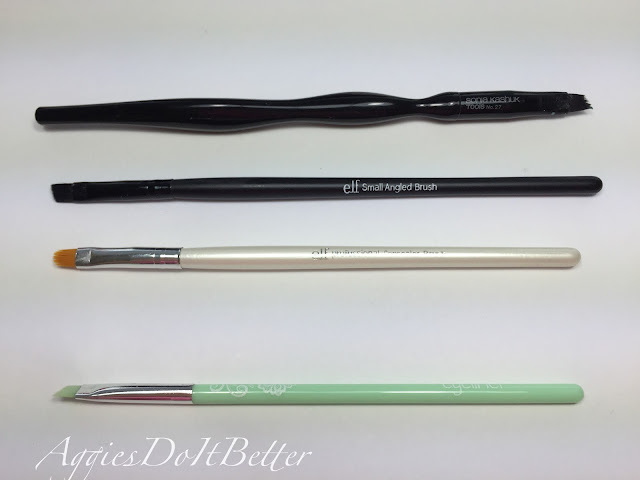 I used to use the Elf small angled brush ($2-3) but have been getting frustrated with it lately. The ELF concealer brush ($1) is just ok for me, I use it most for heavy glitters and stuff I don't want getting into my good brush. I'm always on the look out for recommendations of *good* clean up brushes! Here's a look at the brush and wand. Flat brush similar to the Sally Hansen Insta-dri line. Wide flat brush, a little janky on the end....not entirely straight but at least the edge is even. All in all, the formula was FANTASTIC on the 2 I picked up! Hooray! I had no problems with the brush, it was workable. 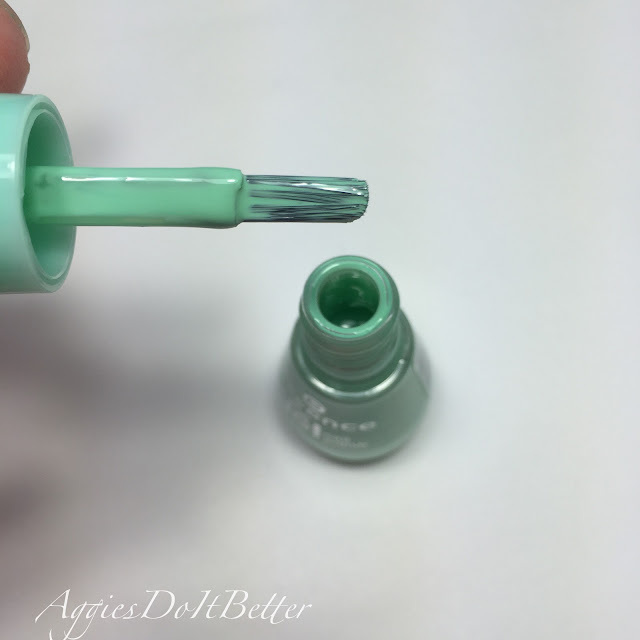 "Play With My Mint" here is shown with 2 coats plus topcoat. The formula was great, thick but leveled out, dried fast! Excellent! 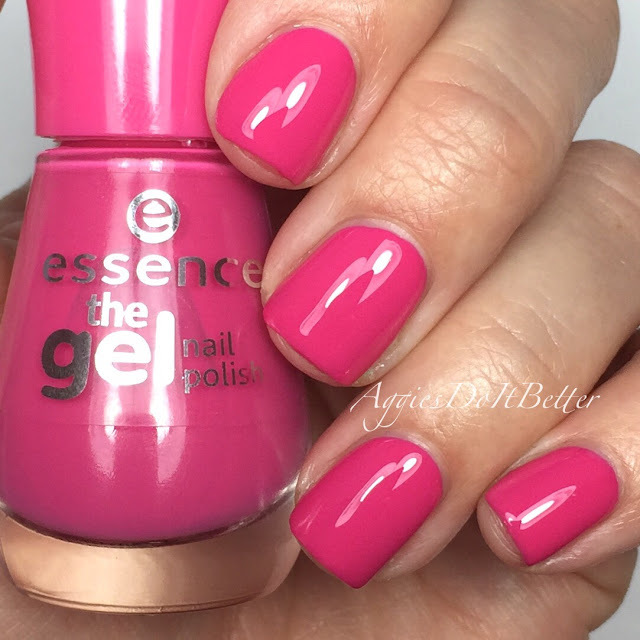 "#lucky" is a hot pink with a great formula again. This is 2 coats plus topcoat. I am definitely keeping an eye out for a sale on this brand so I can pick up some more! 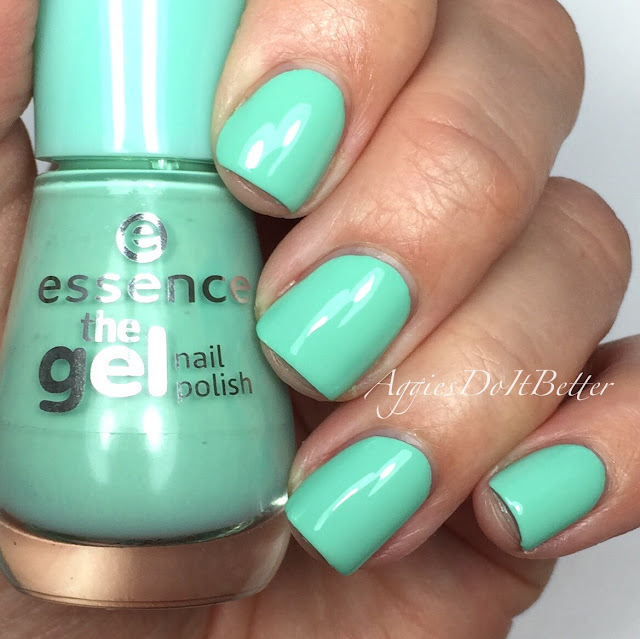 I love Essence! I get a ton of them from my German nail swap friend. I love to print my nails with different colors and shades. 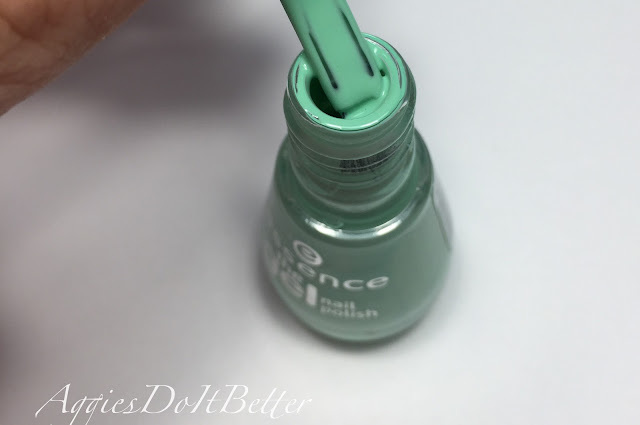 I quite like the "play with my mint" gel nail polish.